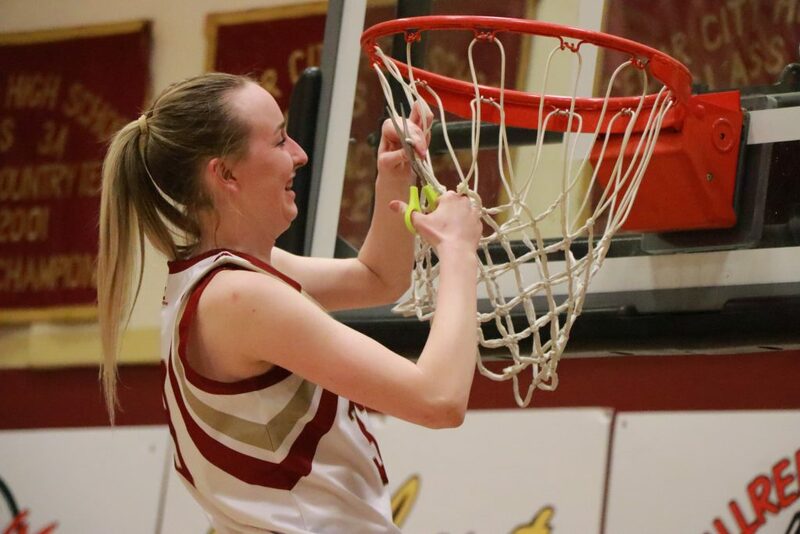 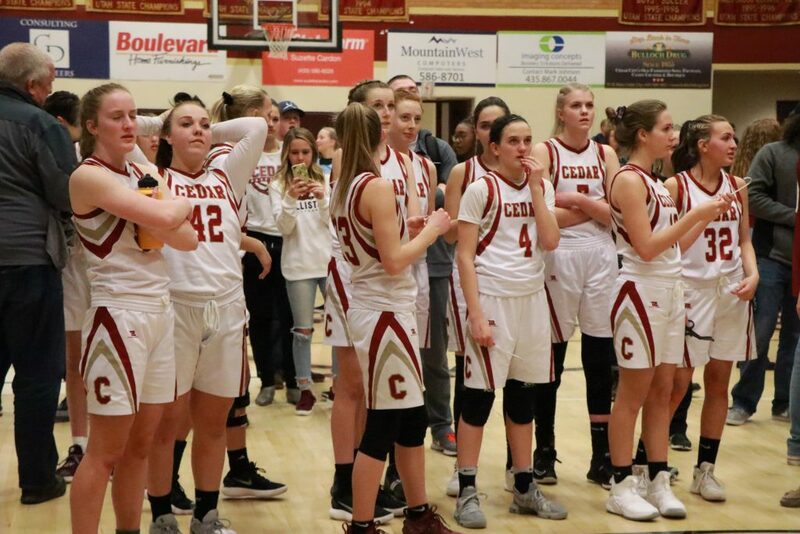 ST. GEORGE — The undefeated Cedar Lady Reds clinched the Region 9 title Tuesday night with a 63-44 home win over crosstown rival Canyon View. 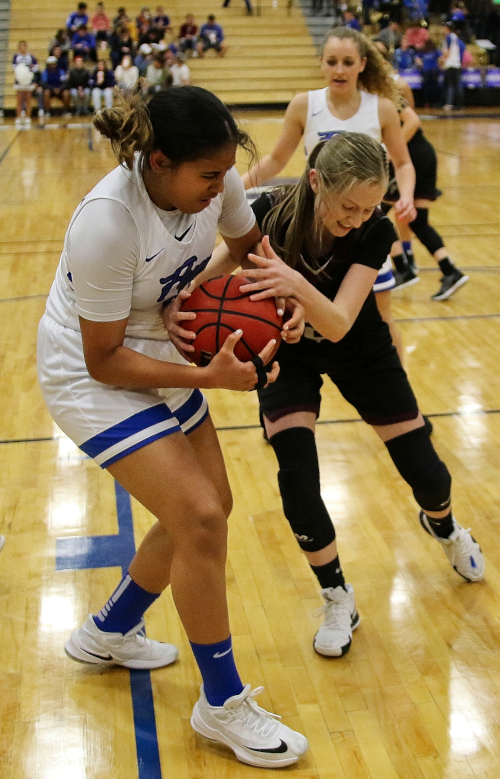 Meanwhile, the race for the three remaining state playoffs spot grew tighter as the gap between second place and sixth place narrowed to two games with three left to play. 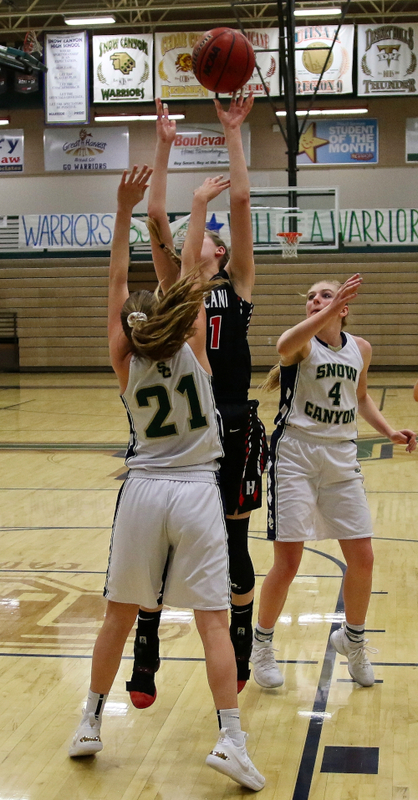 Only last-place Canyon View is out of the playoff picture. 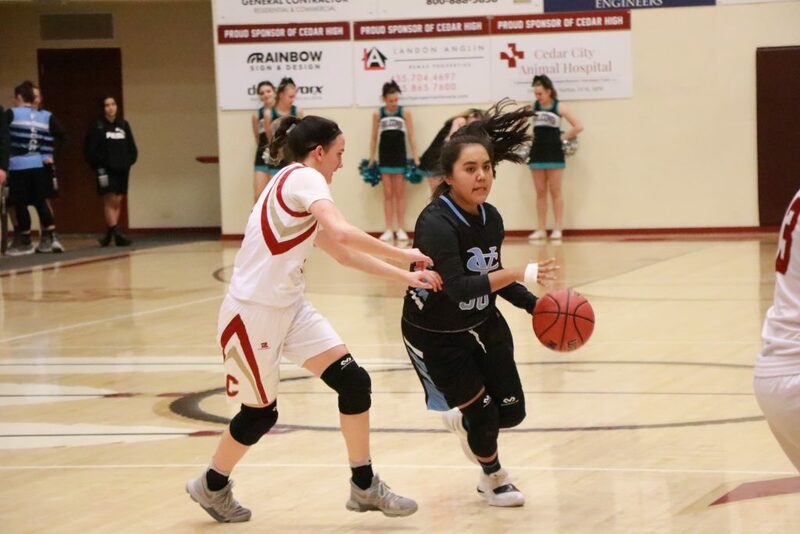 In Cedar City’s rivalry game, the Lady Falcons got an early jump on Cedar, posting a 12-7 lead after one quarter, as the Lady Reds managed just three field goals while missing several shots in a row. 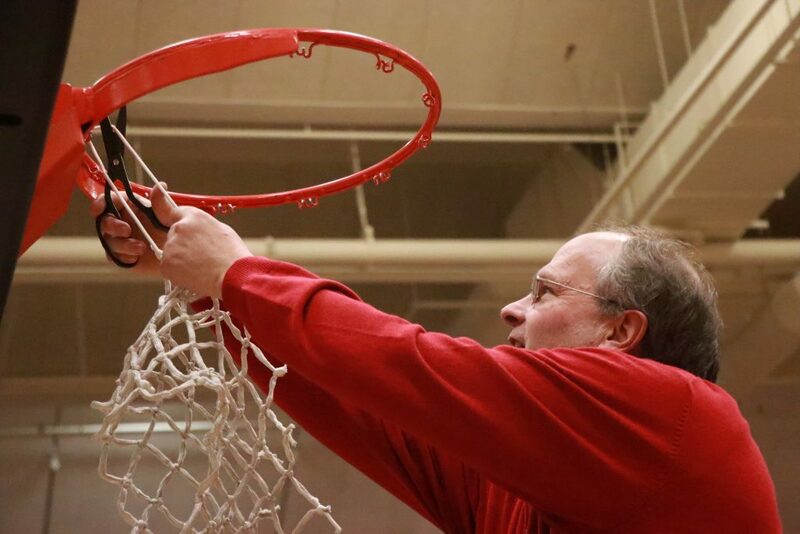 Despite their slow start on offense, Cedar head coach Corry Nielsen said he was more worried about his team’s defense during the first half. 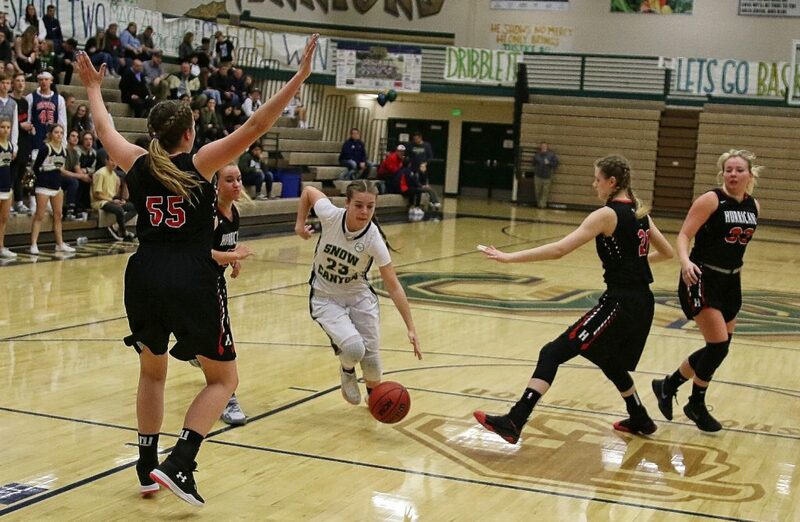 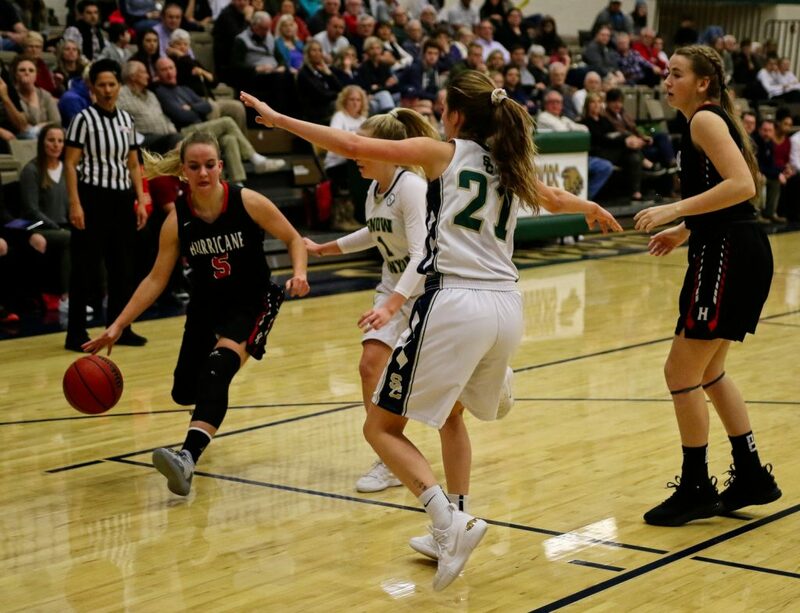 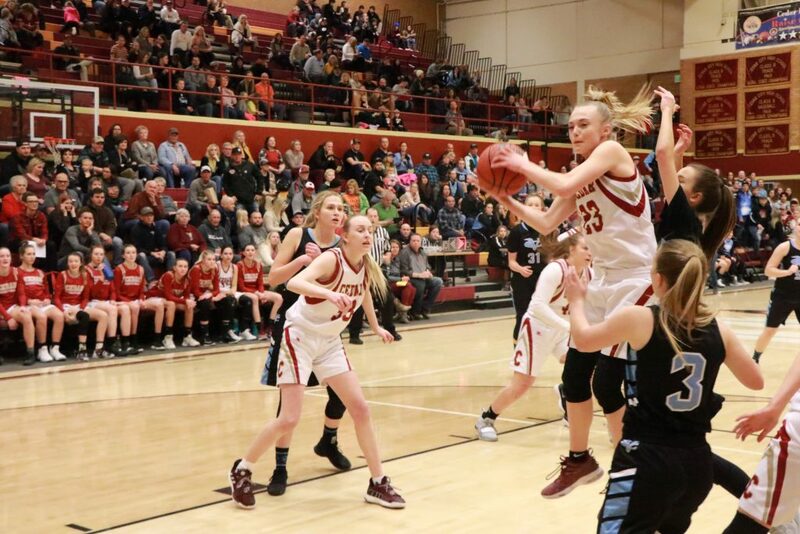 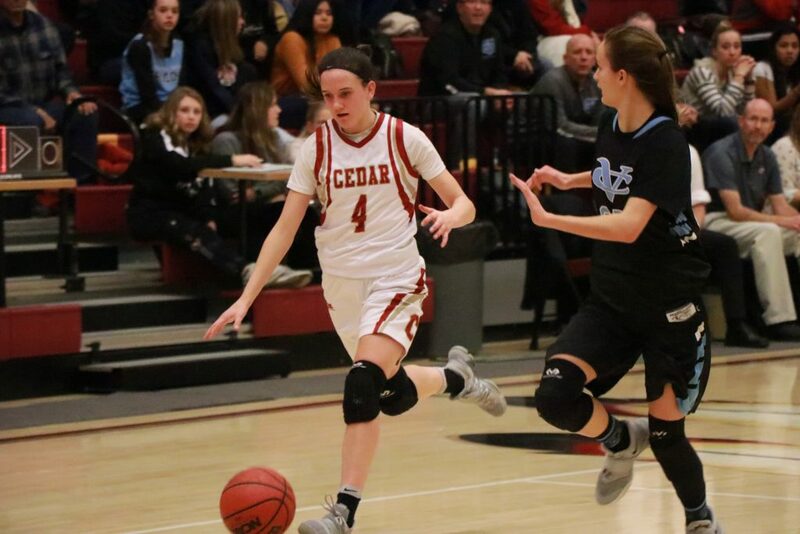 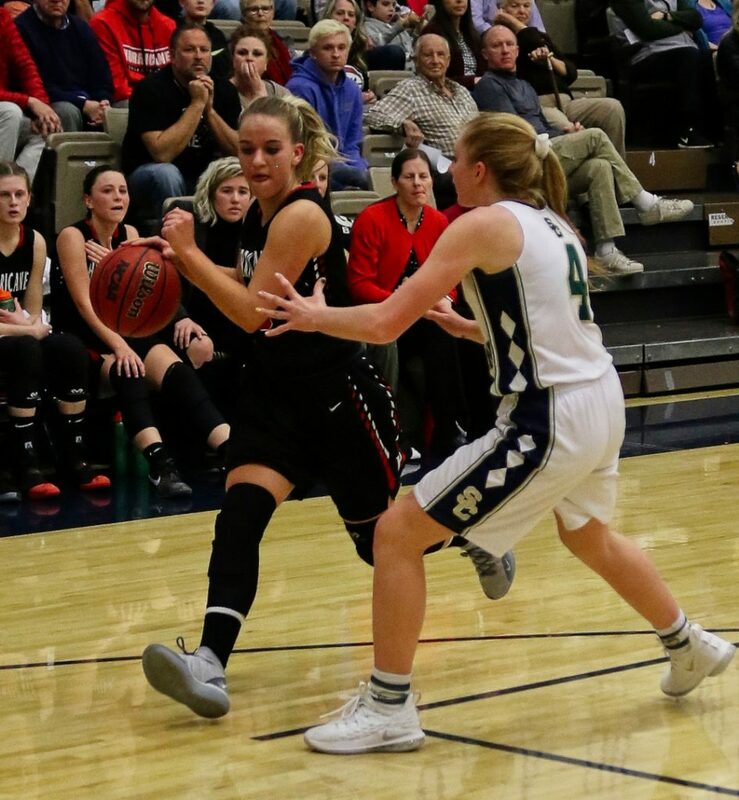 “It kind of reminded me of the first half at Snow Canyon, when we just kind of went through the motions,” Nielsen added, referring to when the Lady Reds trailed the Warriors by nine points at halftime on Jan. 17, only to rally and eventually win by seven. 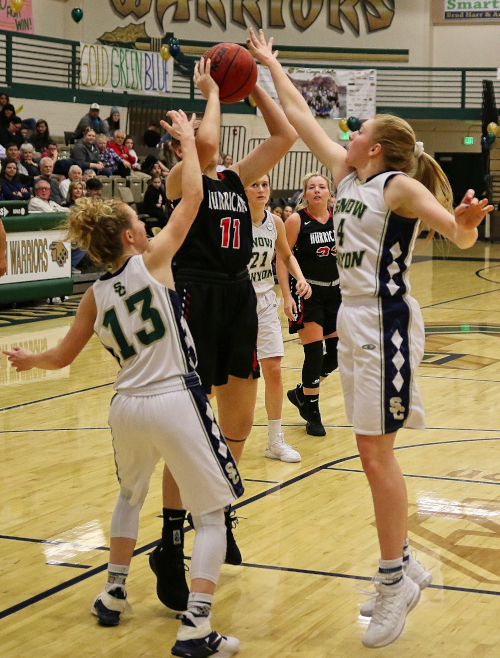 With two minutes to go in the second quarter, Canyon View led 22-18, but Cedar finished the half with a 9-0 run, capped by a 3-pointer by Logann Laws at the buzzer, giving the Lady Reds a 27-22 lead. 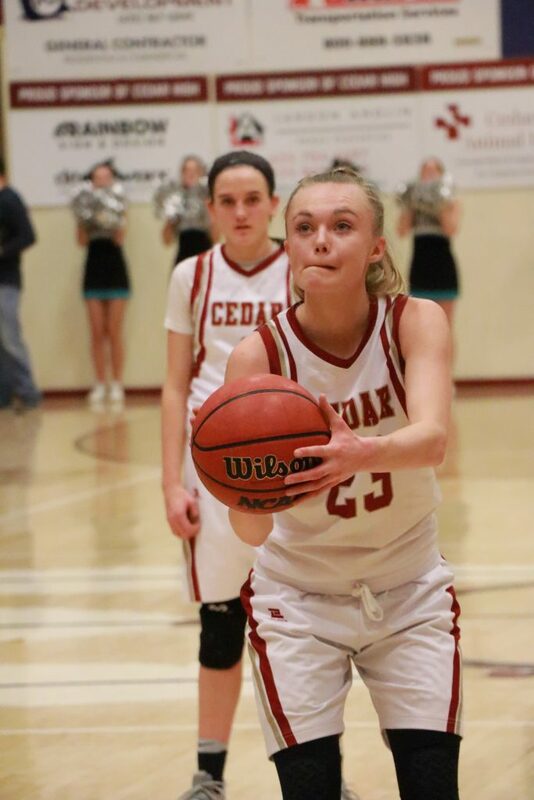 The third quarter was played evenly, but Cedar began to pull away during the fourth quarter, eventually winning by 19. 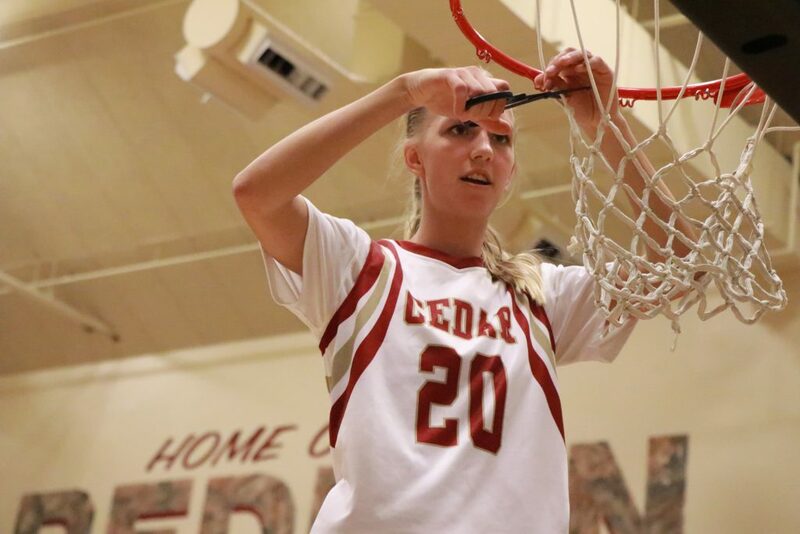 Laws and Samantha Johnston led Cedar in scoring with 14 points each, while Mayci Torgerson added 11 points. 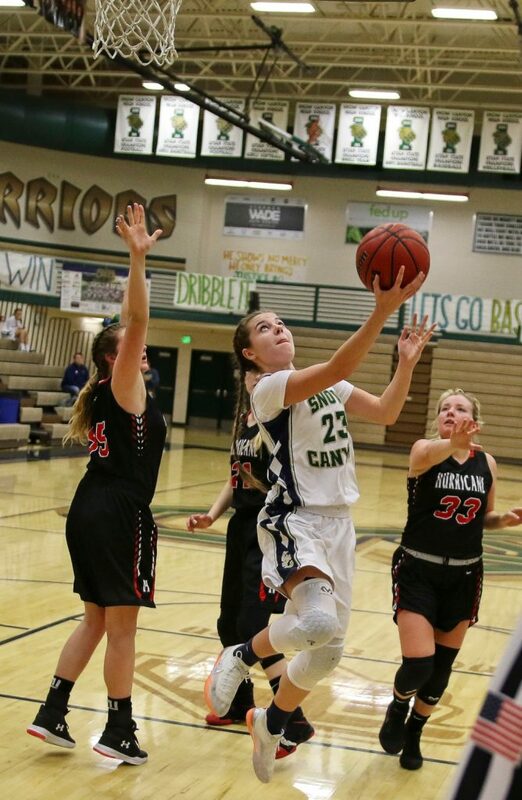 Denim Henkel added 9 points and 10 rebounds. 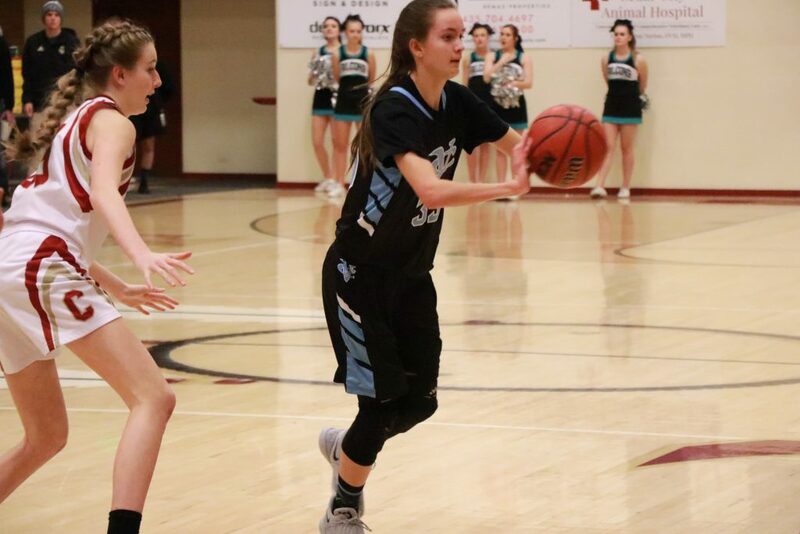 Canyon View was led by guard Jordan Nielson’s 16 points, while fellow guard Addy Newman added 13. 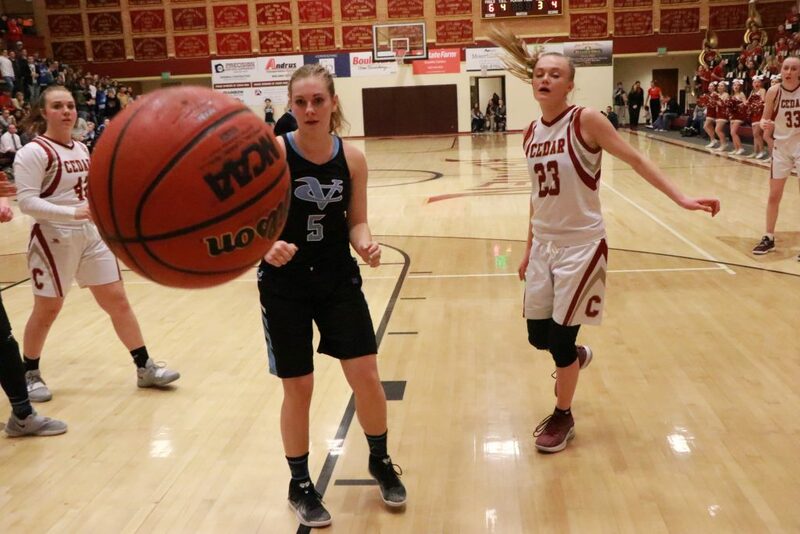 Cedar, which improved to 10-0 in region play with two games left on the schedule, has a bye Thursday before hosting Snow Canyon next Tuesday, Feb. 12. 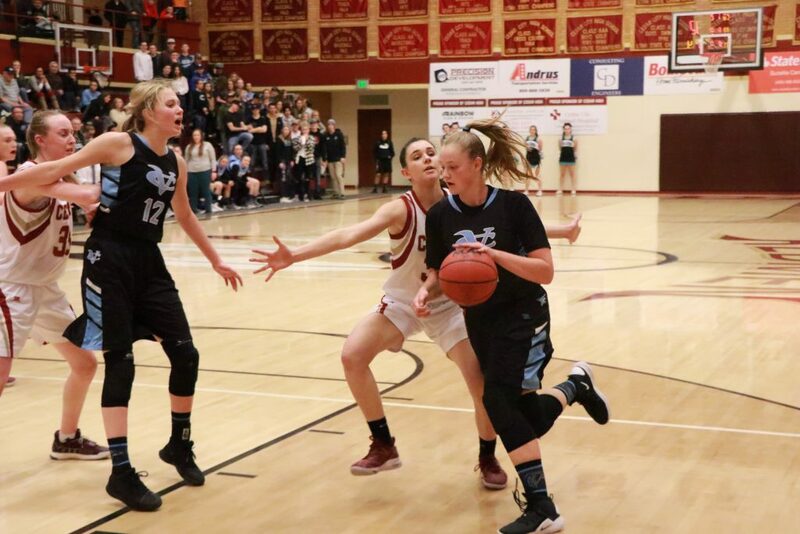 Canyon View, which fell to 1-9 with the loss, plays at Pine View Thursday at 7 p.m. 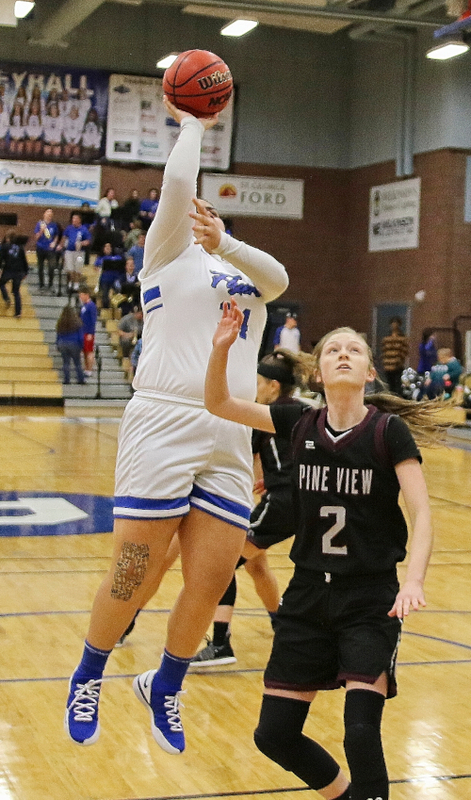 In other Region 9 action Tuesday night, Hurricane and Pine View both picked up wins on the road. 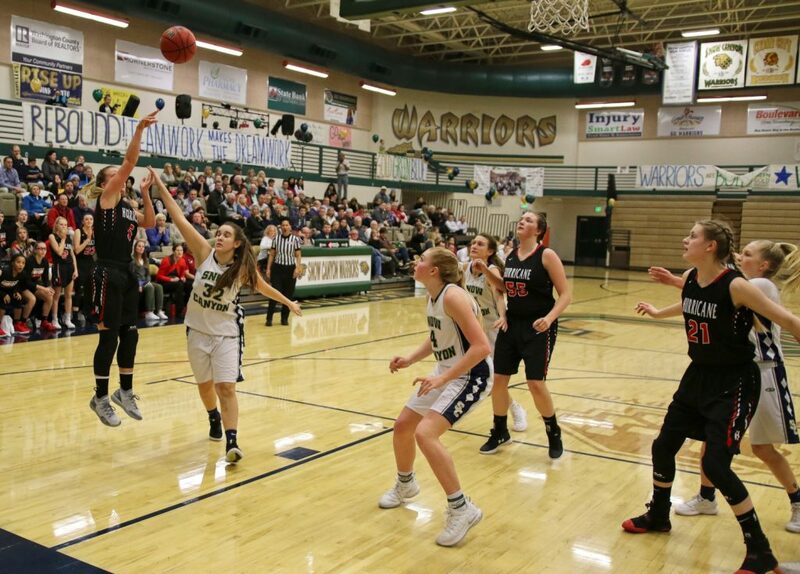 At Snow Canyon, Hurricane won 57-51, fueled in part by a 15-2 run during the second quarter. 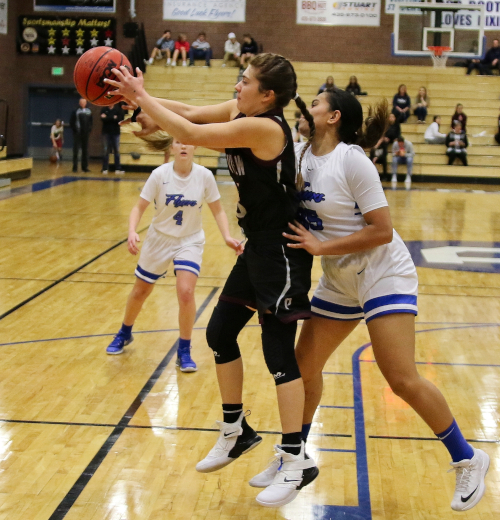 Madi Hirschi led the Lady Tigers with 19 points, including four 3-pointers, while Tylei Jensen was Snow Canyon’s top scorer with 22. 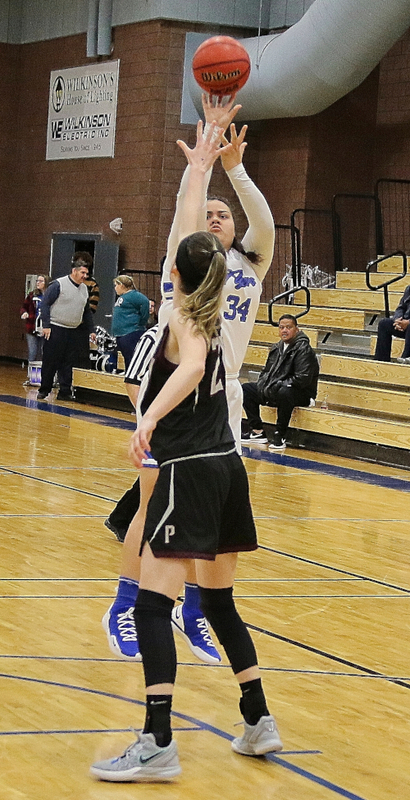 Meanwhile, at Dixie, the Pine View Lady Panthers improved to 3-6 in region play with a 56-52 upset of the Lady Flyers. 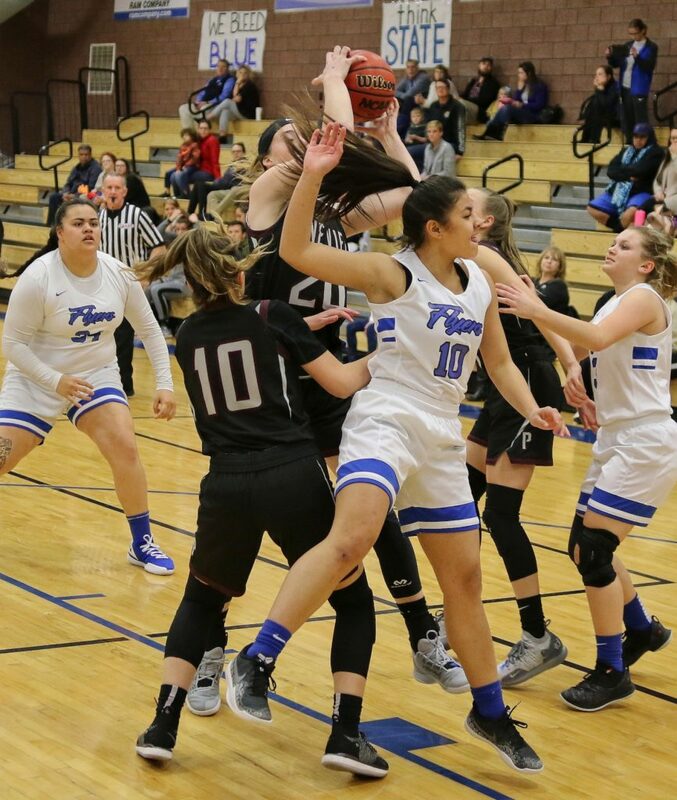 Pine View outscored Dixie 22-9 in the first quarter, only to see the Lady Flyers rally to tie the game by the end of the third period. 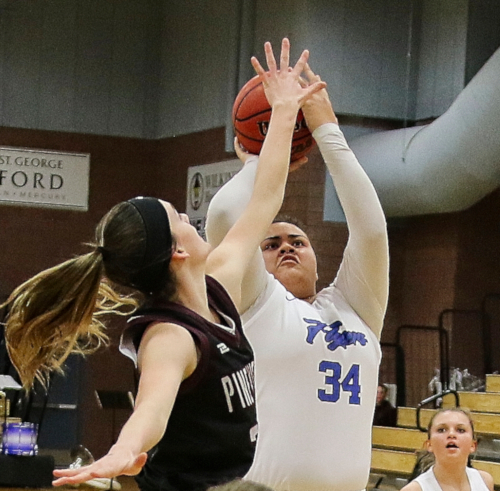 Pine View was able to grind out a four-point win at the end. 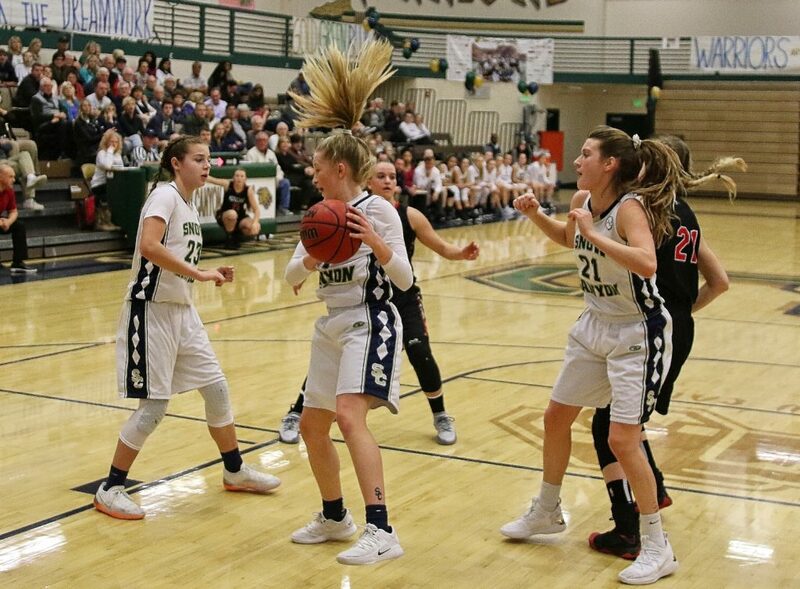 The fight for the remaining three playoff spots heats up Thursday night, as Snow Canyon (5-5) will play at Desert Hills (5-4), and Dixie (5-4) plays at Hurricane (4-5). 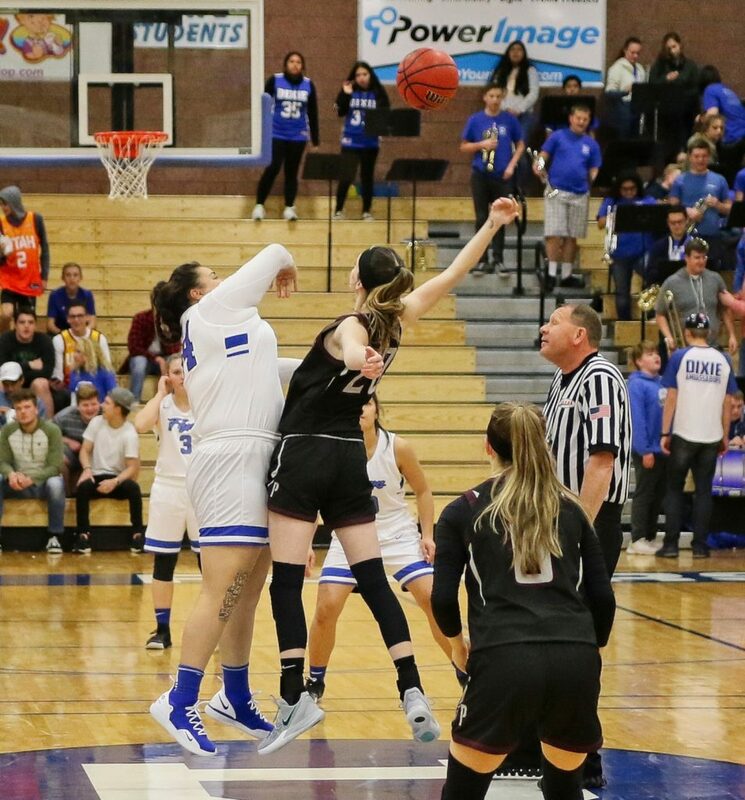 Both games tip off at 7 p.m.